The Cobia is known for their resemblance to both remoras and sharks. In fact, they are frequently mistaken for remoras or “shark suckers” due to their long, torpedo shaped body, and the black lateral stripe that can be found on some fish and becomes more pronounced during spawning. They have a broad flattened head and small eyes. These fish are generally a dark brown on top transitioning to a lighter colored baby. 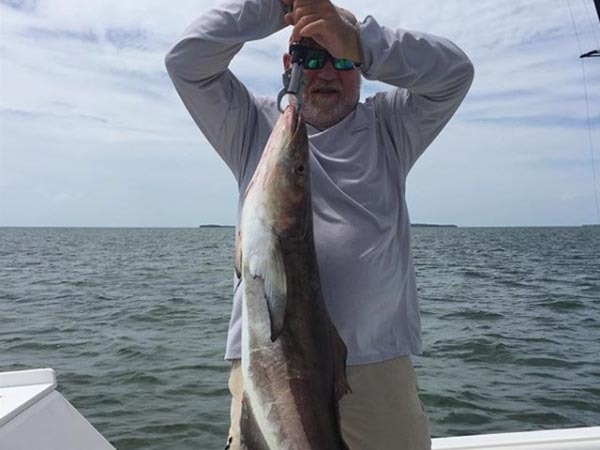 What are other names for a Cobia? This fish is also known as black kingfish, ling, lemonfish, black salmon, crabeater, prodigal son, black bonito, among others. The average Cobia in is 20 – 35 lbs, but the Texas State record sits at a hefty 108.44 lbs! This fish is migratory, moving as far North as Massachusetts during the summer, when it can also be found along the coast of Texas. 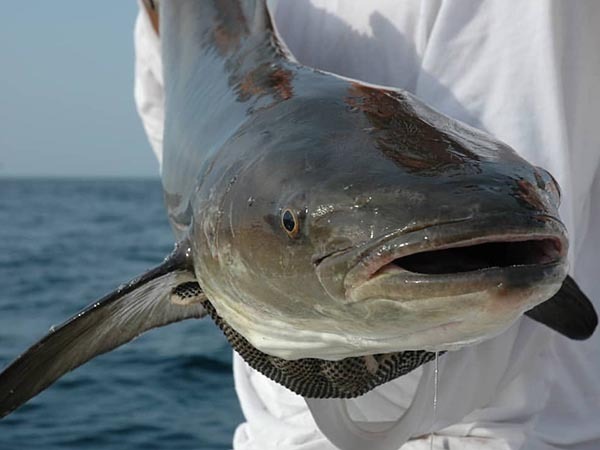 During the colder winter months, the Cobia moves to tropical waters. Large Cobia can be found offshore, while the smaller cobia move inshore and can be found around mangroves, and in inlets or bays. These fish have an appreciation for structure, or anything that breaks up the open water, including floating debris, seaweed rips, oil rigs, or anchored boats, buoys, etc. As noted above, Cobia are sometimes called “crabeaters”. This nickname was earned due to their preference for crustaceans. However, they are known to chase down baitfish, squid, and other small prey. This fish have also been known to follow sharts, rays or turtles, not only because they are extremely curious, but also to scavenge scraps that may be left behind as these other animals feed. 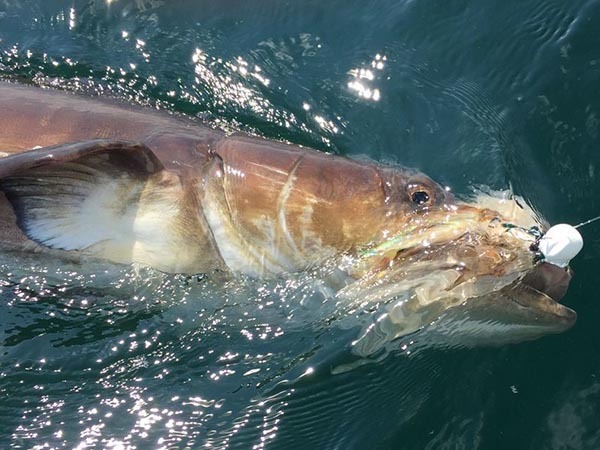 Are Cobia targeted by anglers? Curious, great fighters, and appreciated for their high quality meat, these fish are aggressively pursued as a sport fish. Due to their strength and excellent fighting ability, angers must be prepared with heavy enough tackle to ensure it can hold up to the demands of the fight.